After the Chocolate Show I went to the World Financial Center to see Canstruction, an annual design competition and exhibition that benefits City Harvest. Twenty-six design and architecture firms participated in the event and built sculptures out of cans, which are on display throughout the Winter Garden. The sculptures are very impressive and have accompanying artistic statements. My only complaint is that the layout/continuation of the event isn’t well labeled. I thought I saw all of the sculptures, but when I looked at an article online about the exhibit, I realized I missed a few. I would have loved to see the can version of the Brooklyn Bridge! Visitors are asked to bring canned goods, which are donated to City Harvest, along with the cans that are used for the sculptures. I brought vegetarian baked beans. Canstruction is on view until November 21, from 9am-6pm daily at 220 Vesey Street. For more details about Canstruction, visit the website here. 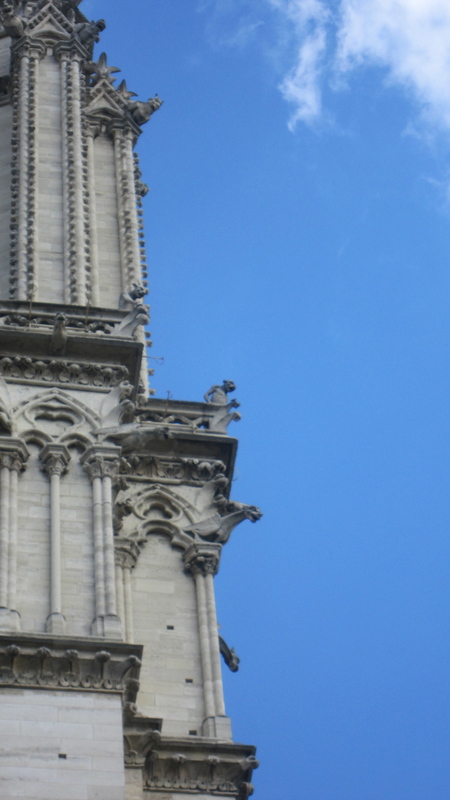 Similar to my first day in Paris, day seven was an epically long day. The day heralded a changing of the guard, as Charles left and my friend Monica arrived within 20 minutes of each other. It was Monica’s very first time in Paris, so I wanted to show her around, but I didn’t want to overwhelm her, as she hadn’t slept on the plane. I decided to take her to the Marais, since it is my favorite neighborhood and not as crowded as the major sites (except on Sundays, but this wasn’t a Sunday). 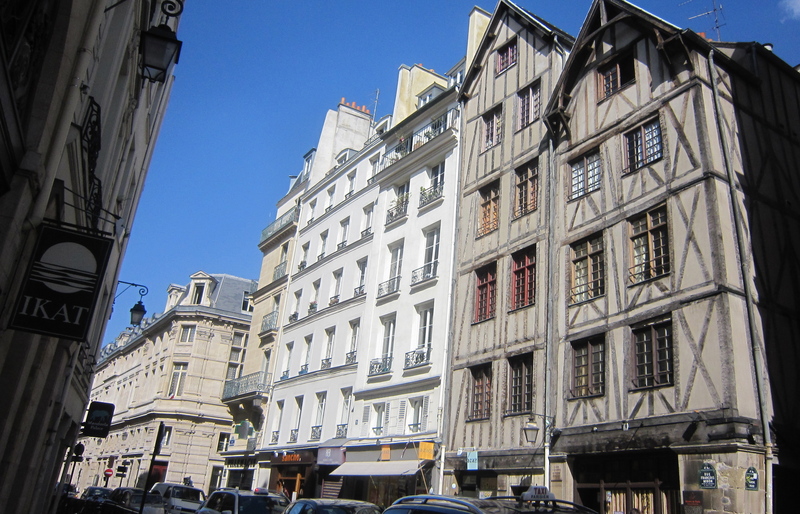 We started at some of the oldest buildings in Paris. 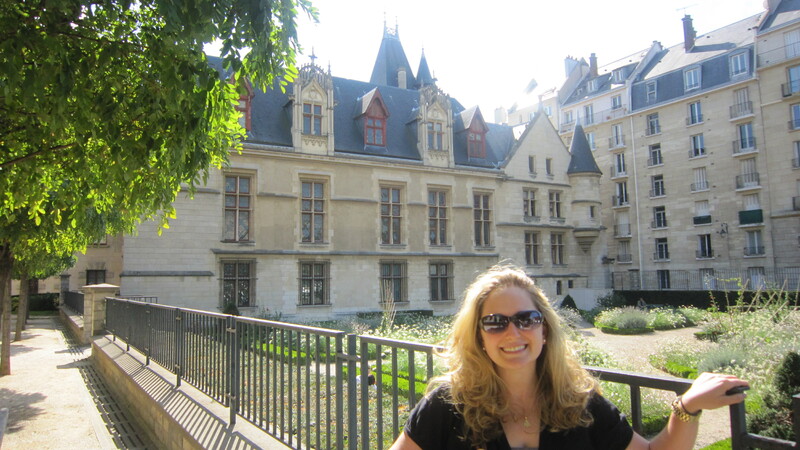 We visited the oldest mansion in the Marais, which has a bullet hole on its façade. We also stopped at the (unpictured) Holocaust Memorial, which was appropriately somber. 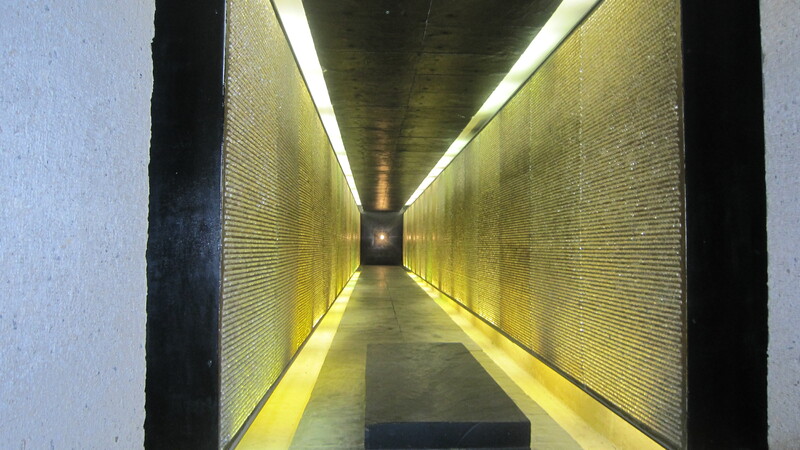 It was additionally sad that the memorial had very intense security. 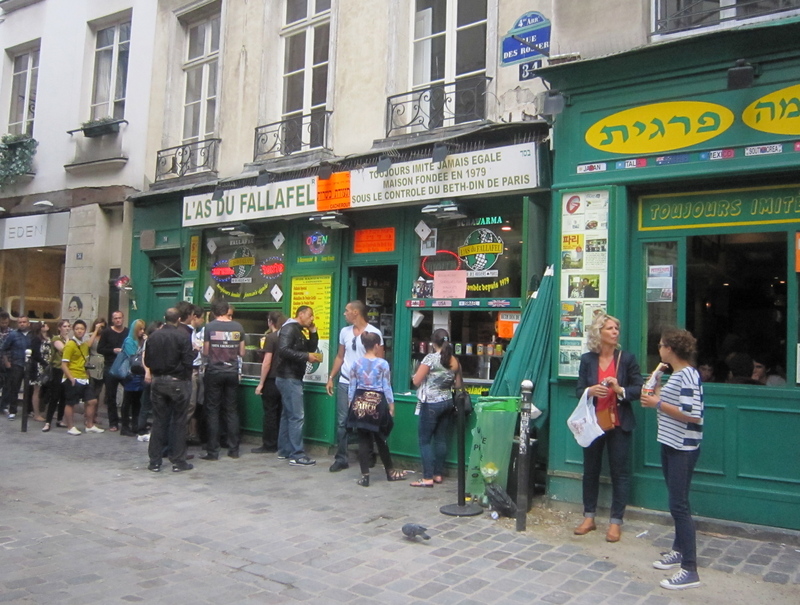 For lunch we got take out from L’As du Falafel, which is the most famous falafel place in Paris and Lenny Kravitz’ restaurant of choice. The falafel was good, but not significantly better than Chez Marianne, where I ate the week before with Charles. 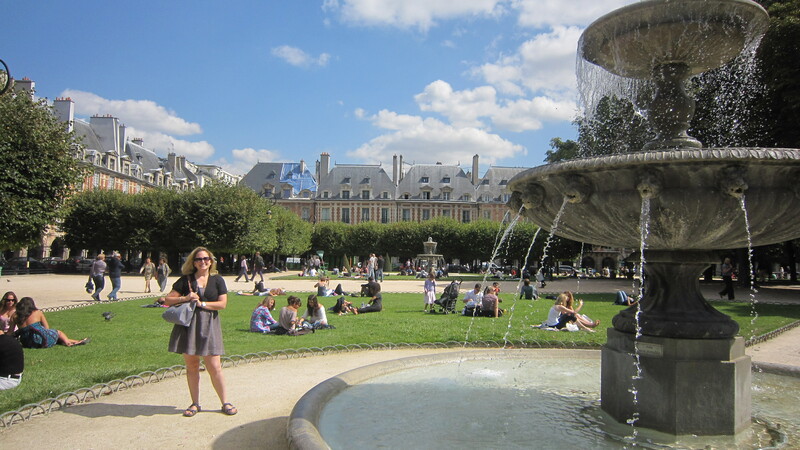 We walked to Place des Vosges, which as previously described is where I would want to live in Paris. 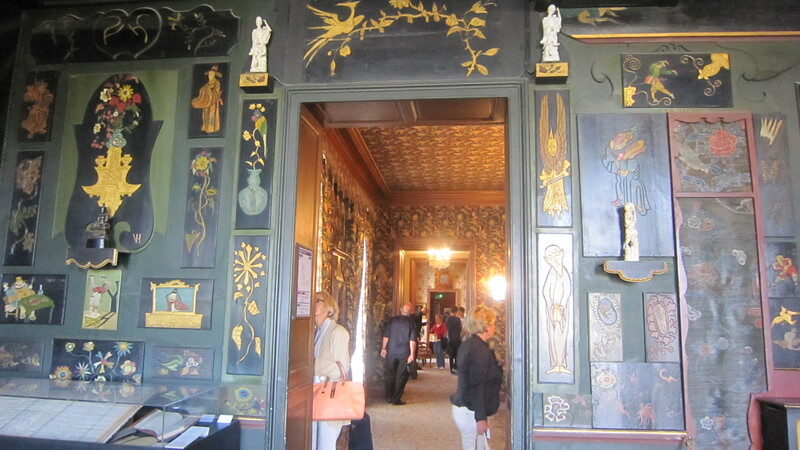 We toured Victor Hugo’s apartment, which overlooks the square and is now a free museum. 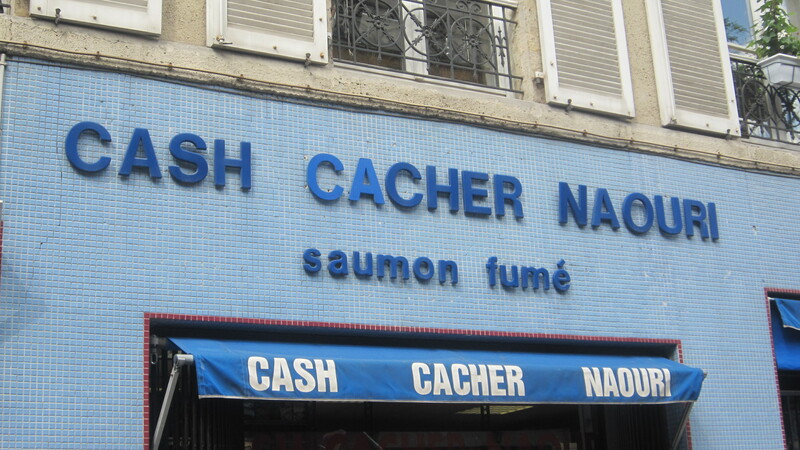 I definitely recommend stopping by as a quick and cultural visit, although the apartment is a bit dark. 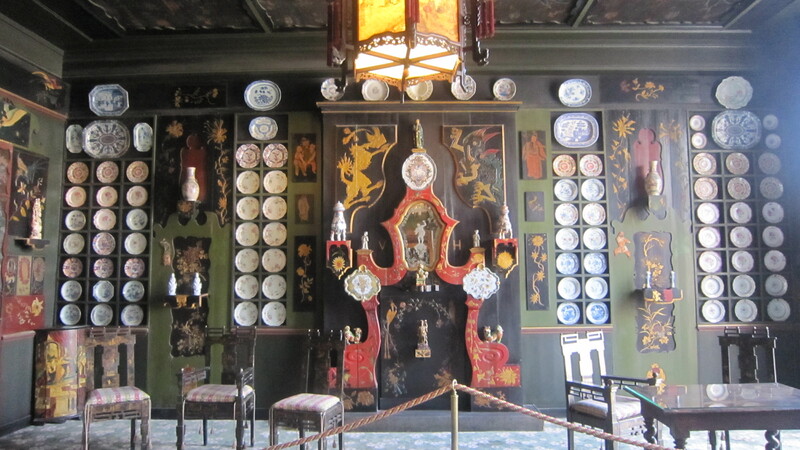 Chinoiserie room at Victor Hugo's apartment = my favorite room! 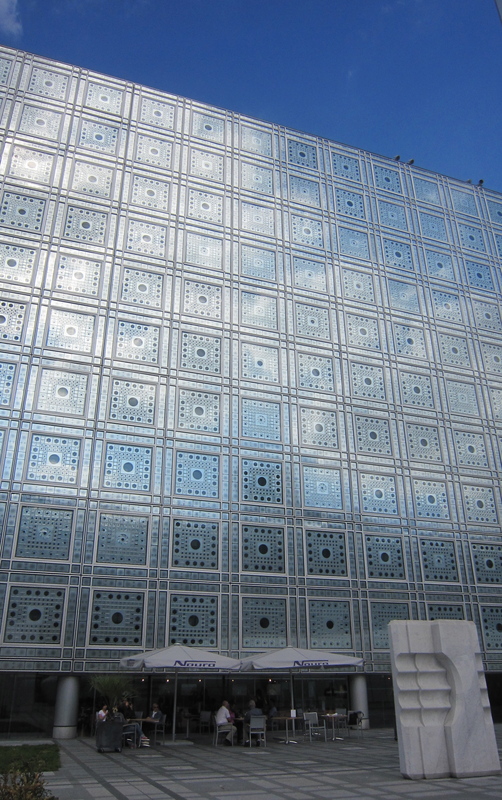 We walked to the Institut du Monde Arab (Institute of the Arab World), which is housed in a very innovative building designed by Jean Nouvel. 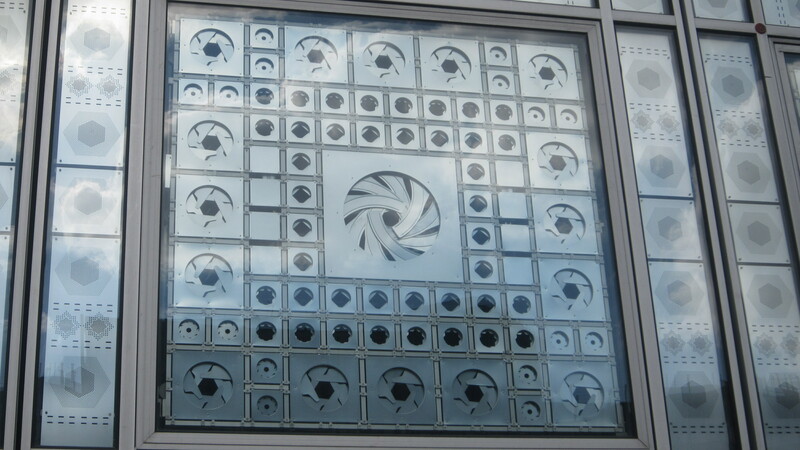 The windows of the building have metal geometrical designs, which open and close based on the light exposure and in turn control the lighting in the building. The Institute has changing exhibits, a large bookstore, a cafe, a restaurant, and a free rooftop deck with great views of the city. 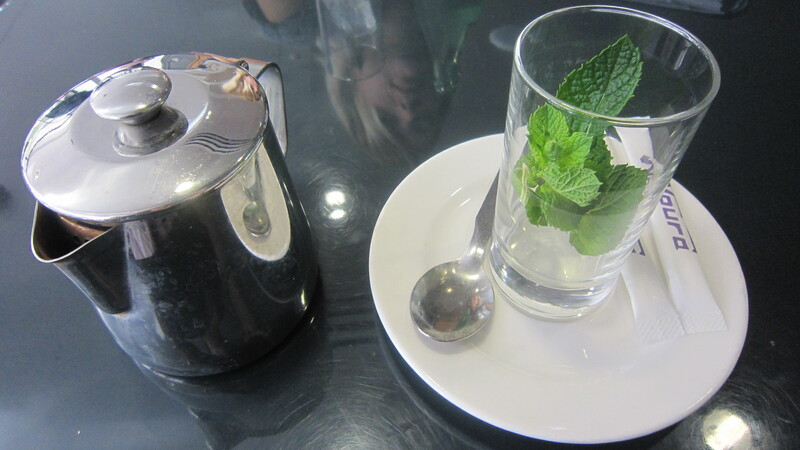 We stopped at the cafe for a pick-me-up and I ordered mint tea. It was super strong! We then walked to the nearby Memorial to the Martyrs of the Deportation, which memorializes the 160,000 people who were deported from France to concentration camps. 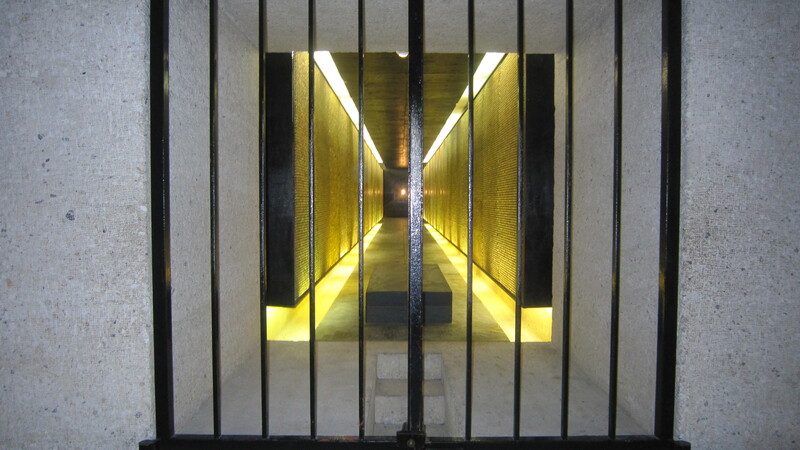 The design is supposed to evoke aspects of a concentration camp, with narrow passages and restricted views of the outside world. 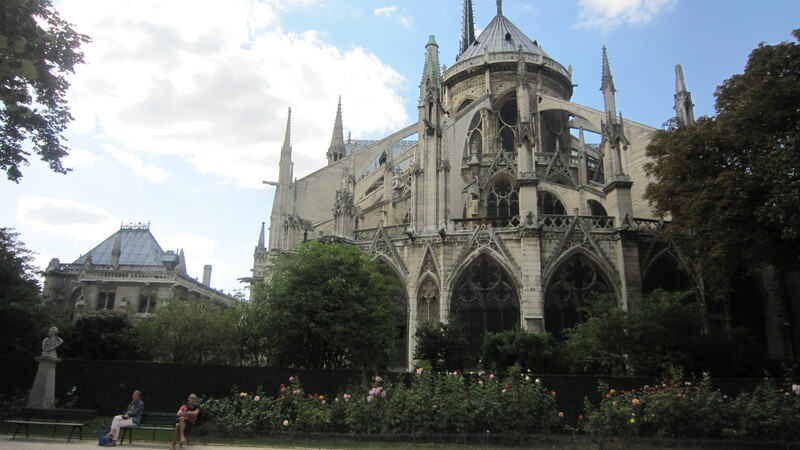 The memorial is close to Notre Dame Cathedral, so that was our next stop. I thought this gargoyle was so cute! Not exactly the desired reaction...hehe. 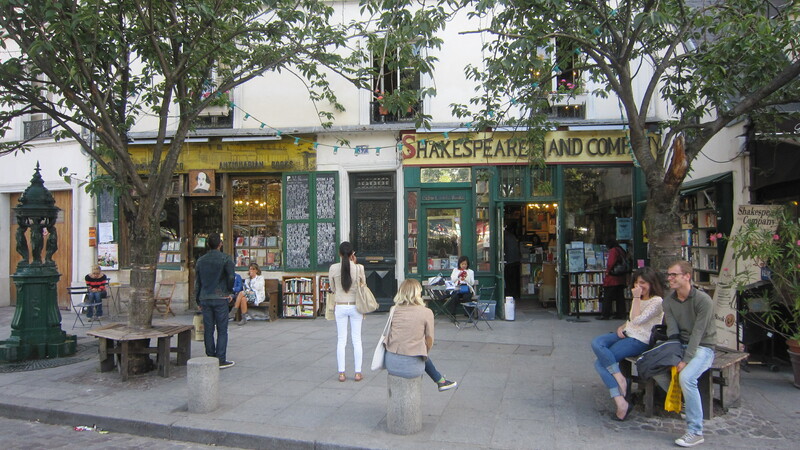 Our last stop was Shakespeare & Company, which is frequently mentioned in one of my favorite books, Ernest Hemingway’s “A Moveable Feast.” Hemingway and other famous deceased writers used to hang out there and borrow money from the owner Sylvia Beech. The shop was cute and I especially liked that there were a couple auditorium style seats where we could rest and flip through books. After a very exhausting day, we went to my friend Véronique’s apartment for a welcome dinner party. Véronique is of French tunisian descent and she is an expert couscous maker. 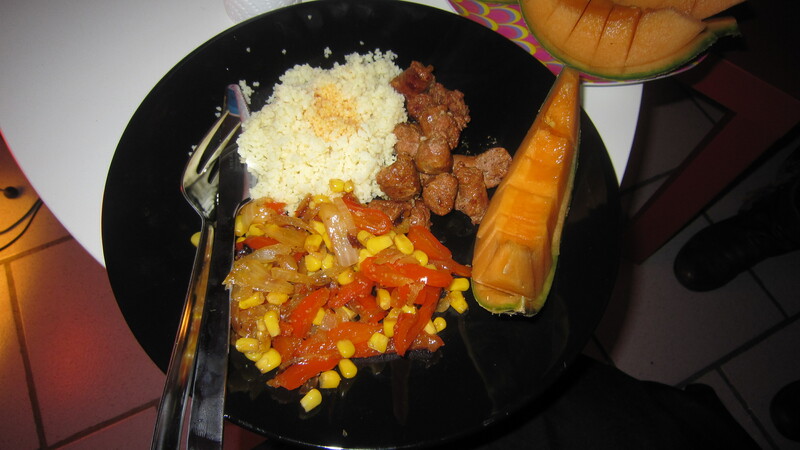 She cooked couscous merguez, which was the best I had in Paris. This was also the last time I ate couscous merguez because by this time I had officially ODed on it.